Alvin Johnson farmed northwest of Webster, South Dakota. His real love wasn’t agriculture, though. It was playing the accordion. Alvin’s son, Charlie, tells of a young boy from the neighboring town of Roslyn watching Alvin play every chance he could get. That boy was Myron Floren. The Johnson family moved to Watertown in the late 1940s. Alvin taught accordion and piano lessons at Associated Teachers of Music. 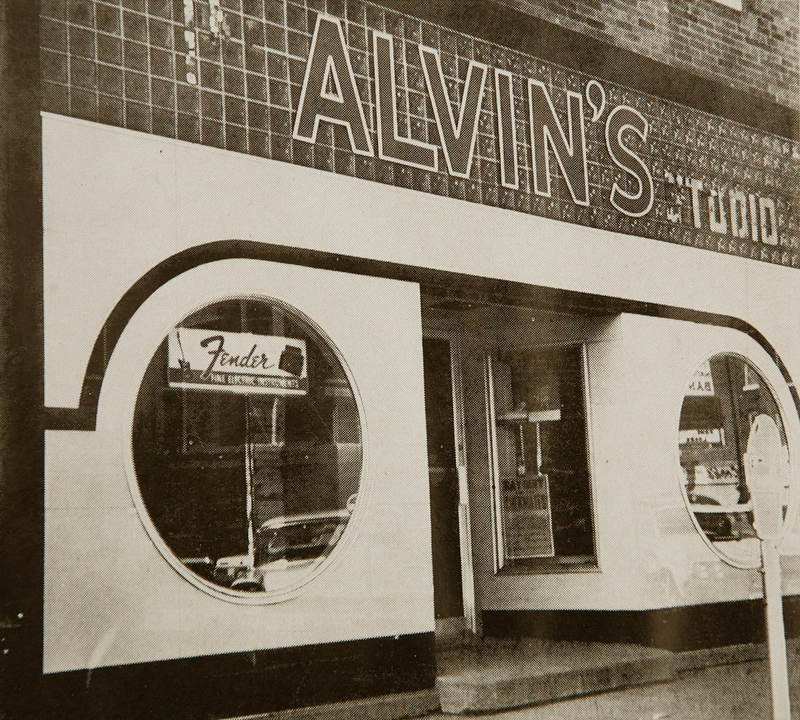 In September 1957 he bought that business and changed the name to Alvin’s Music Center. The store sold Gibson, Fender, and Gretsch guitars; organs; pianos; and, of course, accordions. Alvin’s also carried Fender, Shure, and Crate PA equipment. Members of the Webster band The Trapes loved the store. Bassist Mike Mohs bought a Gibson EB2 bass, and guitar player John Fiksdal got his Fender Stratocaster and Gibson 330 there. “Alvin was a true gentleman doing business with struggling young musicians with a smile and in good faith,” Fiksdal says. Charlie Johnson graduated from Watertown High School in 1958. He joined the National Guard in 1963, and when he returned, he taught lessons at his dad’s store. Alvin continued to play music with Leo and Eddie Fortin, Don Kamp, Tommy Matthews, Ernie Skatvold and others. Charlie purchased the store from Alvin in 1975. Buck Owens, Kitty Wells, and Sherwin Linton were notable customers of Alvin’s. Charlie sold the business to the Lindner family in 1990. It remains a favorite of music customers in the Watertown area.